The crisis in the global economic system triggered by the banking collapse of 2006-08 has precipitated a new moment in the evolution of global capitalism. But its novelty is not generally understood. Some previous crises, most famously the great crash and depression of the 1930s, produced radical social change: the welfare state and New Deal, as well as the rise of fascism. In the past five years protest groups such as Occupy have appeared, and resistance to austerity has grown. Yet there has been no rupture in the system or its governing ideology. Indeed, elites have used the crisis in Europe and north America to advance the neoliberal project, as unrelenting attacks on living standards, the NHS and the welfare state in Britain show. The disintegration of the British postwar settlement was the central project of one of the new right's most politically divisive figures, Margaret Thatcher. Her funeral last week was designed to install her as the emblem of a unified nation, and set the seal on three decades of work by three political regimes – Thatcherism, New Labour and the coalition – to fundamentally reshape Britain. As David Cameron told the BBC: "We are all Thatcherites now." Thatcher is dead, long live Thatcherism. What is new about this phase of capitalism? Its global interconnectedness, driven in part by new technologies, and the dominance of a new kind of finance capitalism mean that, while a crisis of this system has effects everywhere, these effects are uneven. So far the Bric countries seem relatively unscathed, while the impact of economic devastation has spread from Asia and Africa into Europe. The breakdown of old forms of social solidarity is accompanied by the dramatic growth of inequality and a widening gap between those who run the system or are well paid as its agents, and the working poor, unemployed, under-employed or unwell. The crisis has revealed a new, international and ethnically diverse super-rich. The Sunday Times Rich List is topped by two Russian oligarchs and an Indian billionaire. They live a life totally divorced from and almost unimaginable by ordinary people, fuelled by an apparently unstoppable appetite for profit. 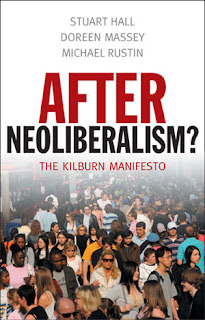 Neoliberalism's victory has depended on the boldness and ambition of global capital, on its confidence that it can now govern not just the economy but the whole of social life. On the back of a revamped liberal political and economic theory, its champions have constructed a vision and a new common sense that have permeated society. Market forces have begun to model institutional life and press deeply into our private lives, as well as dominating political discourse. They have shaped a popular culture that extols celebrity and success and promotes values of private gain and possessive individualism. They have thoroughly undermined the redistributive egalitarian consensus that underpinned the welfare state, with painful consequences for socially vulnerable groups such as women, old people, the young and ethnic minorities. Corporate exploitation of cheap labour, natural resources and land has worsened the crisis in the developing world. Environmental degradation, poverty, disease pandemics, poor education, ethnic divisions and civil wars are paraded as inevitable postcolonial failures and provoke the old powers to intervene to safeguard the conditions for capitalist accumulation. 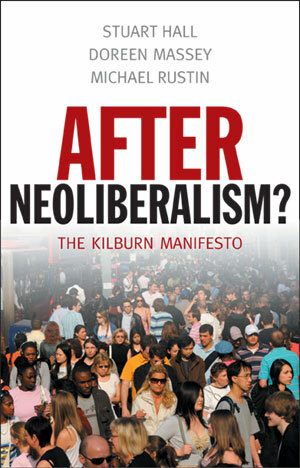 The neoliberal victory has reasserted the powers and position of the dominant classes. But this victory was not inevitable. No social settlement is permanent, and this one was fought for, from the coup in Chile and the defeat of the miners in Britain to current attacks on workers' rights and the benefits system. There is more than one way out of the current catastrophe. There is always an alternative. Today – Wednesday – the founding editors of Soundings, the new left journal first published in 1995, launch a manifesto that will attempt to outline ways forward. Over the next year we and our collaborators will, in a series of monthly instalments, examine different aspects of the current crisis and try to frame a more systemic set of questions than is usually asked. We do not offer policies but alternative approaches and demands that we hope will contribute to the broader debate that is the environment in which policymakers operate. New Labour's collusion with the neoliberal project – through an agenda of privatisation, outsourcing and the marketisation of the public sector – has left the party unable to draw a clear line with the coalition. Having driven forward many of Thatcherism's gains under Tony Blair, it is constrained by timid leadership, by a lack of clear vision and new ideas. 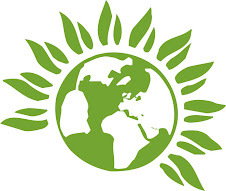 Outside party politics new social movements, including environmental, anti-cuts and feminist groups, have not come together sufficiently with the old, defensive organisations of the working class to produce the coalition that might make them an effective political force. Yet there are indications of how such a compromise might work, for example in the short era of Ken Livingstone's GLC and the radical experiments under way in Latin America. By contrast, turmoil in the Middle East shows us what happens when democratic demands are not met, while in Europe resistance to austerity is twinned with the revival of fascism. This is no time for simple retreat. What is required is a renewed sense of being on the side of the future, not stuck in the dugouts of the past. We must admit that the old forms of the welfare state proved insufficient. But we must stubbornly defend the principles on which it was founded – redistribution, egalitarianism, collective provision, democratic accountability and participation, the right to education and healthcare – and find new ways in which they can be institutionalised and expressed. All of us who oppose the current direction, whether from inside or outside party politics or other organisations, must invent. We must set about disrupting the current common sense, challenging the assumptions that organise our 21st-century political discourse. We hope our manifesto will open a dialogue with a new generation shaped by different political experiences. This is a moment for challenging, not adapting to, neoliberalism's new reality, and for making a leap.